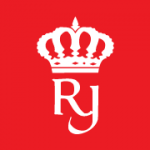 Royal Jordanian is looking to hire a full time Female Cabin Attendant to join the inflight services department. High school certificate or equivalent as a minimum requirement. Height not less than 158 cm. Fluent in both written and spoken English (good command of other languages is an advantage). Presentable, in good health, and possessing good communication skills. Strategically located in Amman, Royal Jordanian's central hub provides the ideal location through which Europe, Asia, Africa, and anywhere in the Middle East can be easily reached. Their Amman City Terminal at 7th Circle provides a central locale for sales and early boarding services. RJ are proud to fly in and out of their main airport, Queen Alia International Airport (QAIA), conveniently situated just outside the city.